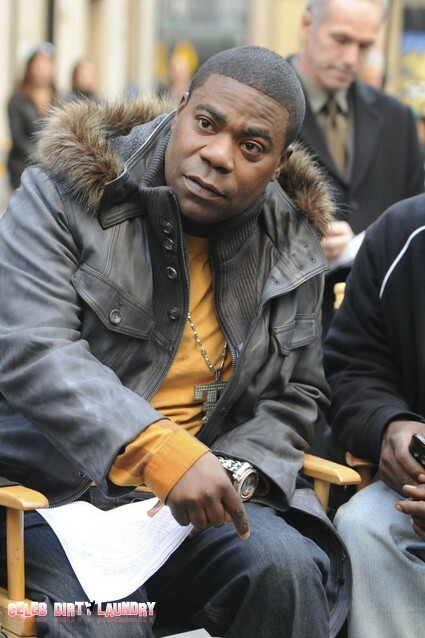 Tracy Morgan was rushed to hospital just moments ago after he fell unconscious at an award ceremony. The ceremony was part of the Sundance Film Festival which celebrates smaller budget indie film productions. Tracy was being honored at the Creative Coalition Spotlight Awards in Park City, Utah and was apparently drunk and/or stoned out of his mind. Tracy gave some sort of inebriated speech and was escorted outside the venue where he promptly passed out. Tracy was then picked up by ambulance and rushed to hospital. Tracy is an American actor and comedian who is best known for his eight seasons as a cast member on Saturday Night Live and currently well known for playing the role of Tracy Jordan on the NBC series 30 Rock. TMZ broke the story: Tracy was being honored at the Creative Coalition Spotlight Awards in Park City, Utah — and sources tell TMZ, he appeared extremely intoxicated during his award acceptance speech. We’re told Tracy was escorted out of the building soon after his speech — and fell unconscious outside the building. Law enforcement sources tell us, an ambulance was then dispatched to Tracy’s location. What Was Lindsay Lohan Doing With $10,000 Cash?